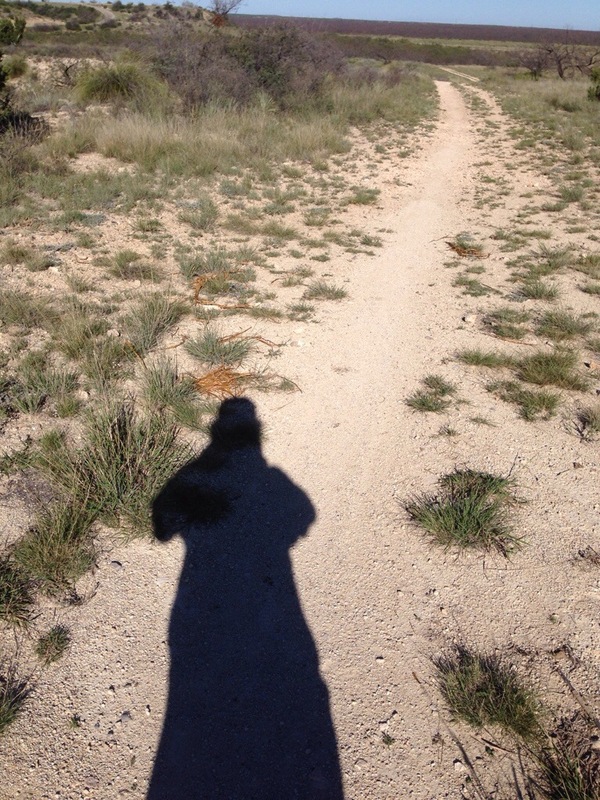 I ran today on a trail I had never been on. Four miles of joy. My knee even forgot to hurt for first 3 miles. The state park trailhead is only 10 minutes from Dad’s joint . I missed yesterday’s run because of the drive, but it was totally worth it. I’m thinking a lot of visits are in order. 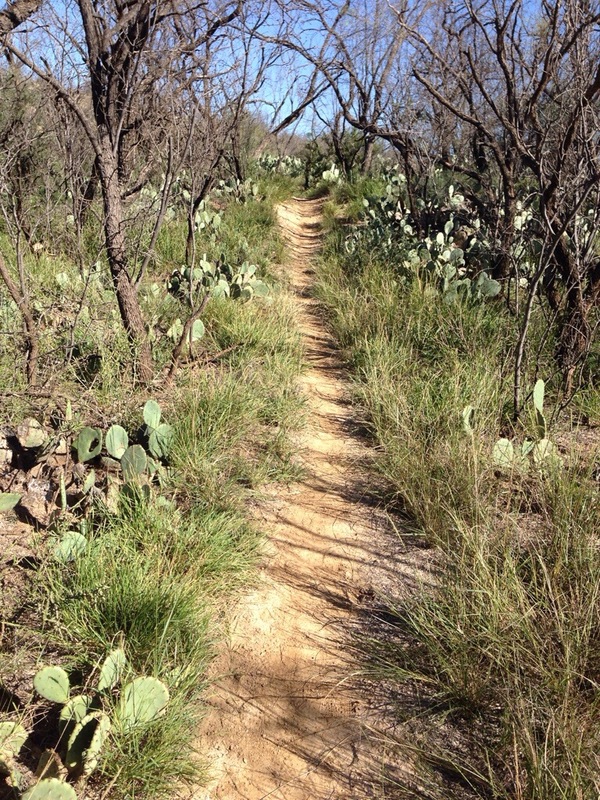 Bonus: I almost face planted into a prickly pear cactus, a longtime ambition of mine. I guess to folks who aren’t from around here it doesn’t look like much. 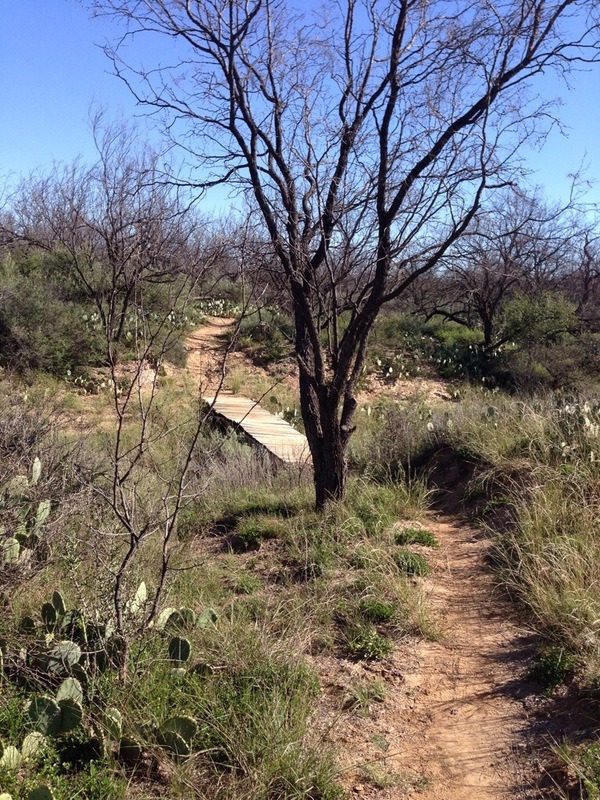 But I grew up with mesquite trees and prickly pears and dirt and barbed wire. They were my first love. When Mo (my second love) and I began dating, our running joke was that I would weep longingly at the sight of the prickly pear cactus. I still do. I’m home. 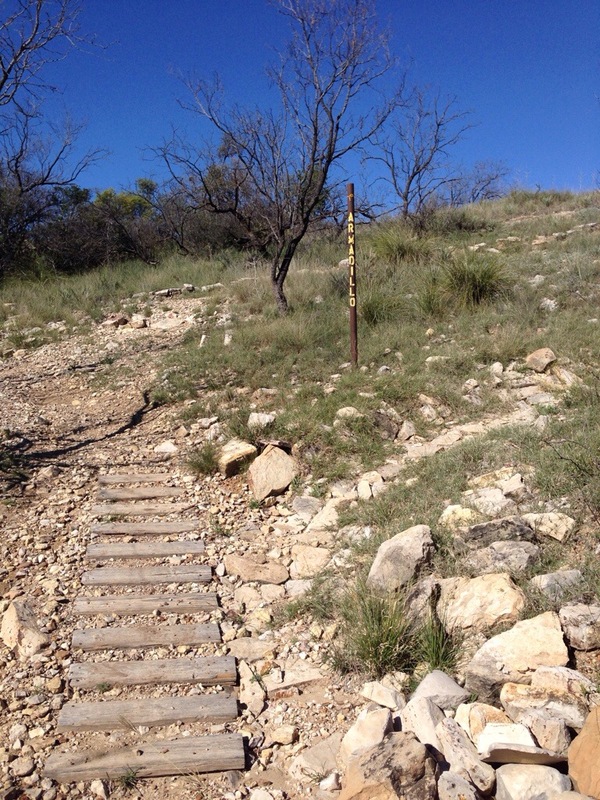 There are the trails where Dad and Brother the Elder trained for our Grand Canyon backpacking trip. Dad and I sat around afterward and compared notes and gazed at the trail map for hours. Smith Boys love our maps. There’s a connection on this trail that’s hard to describe. But easy to feel. I love it. Oh, well. Unbelievable fun. Two miles of trail explored; 48 to go. I can’t wait.